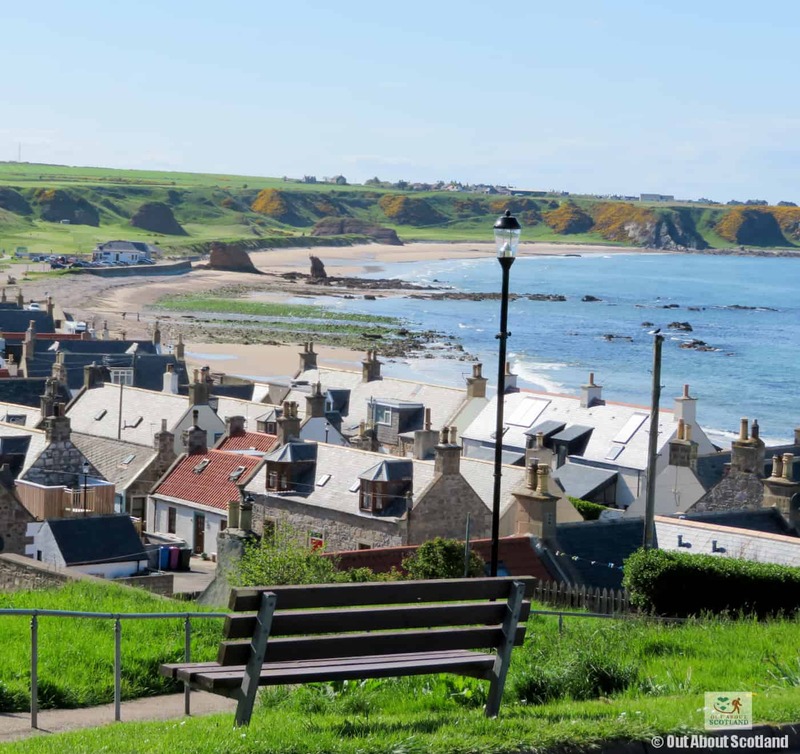 While most visitors to Cullen will undoubtedly have an ‘a-haaa!’ moment when they realise this pretty little village is actually the birthplace of Cullen Skink soup, they’ll likely have several more unexpected outbursts once they start roaming the gorgeous coastline that borders the village. It really is a lovely little coastal hamlet and I found myself giving out quite a few little ‘ooh’s and ‘aah’s as I walked around the village and its quiet, windswept beach. 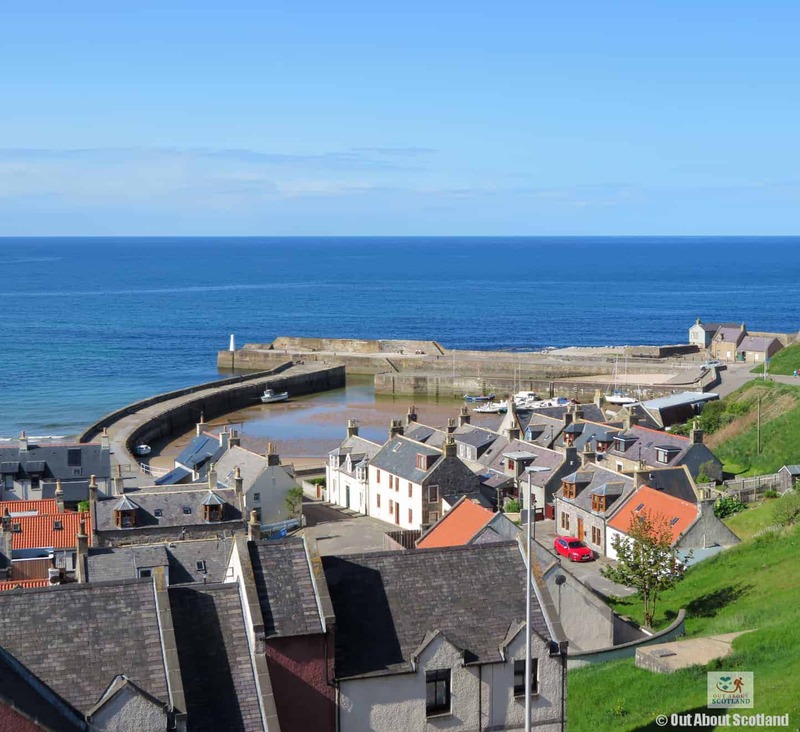 This part of the Banffshire coast in Moray has been attracting tourists for many years thanks to attractions like nearby Portsoy with its delightful 17th-century harbour, but there’s plenty to discover in Cullen beyond its links to the delicious soup which it’s famed for. To truly appreciate this part of the coastline you will be well rewarded with a walk up the community-made path that leads up to the top of Castle Hill. 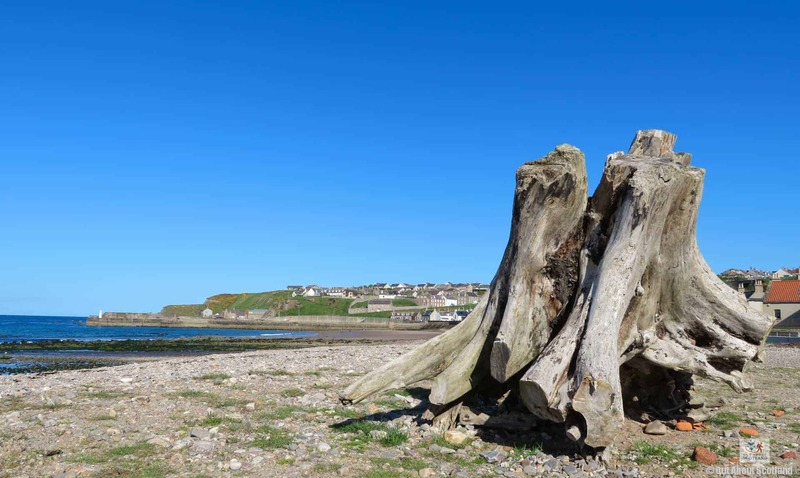 From here you can look out over Seatown and Cullen Bay from what was once the site of an 11th-century fort, and panoramic views across the village give you an appreciation of not only the beach, but also the impressive Links Golf Course and the massive geological rock stacks on the beach known as ‘the three kings’. This is a great place to hunt around in the rockpools for any animals that the retreating tide has left behind, but if you turn around and look out to sea you might be lucky enough to find some other residents that Cullen is home to, notably the bottle-nosed dolphins which can often be seen leaping and playing close to the shore. 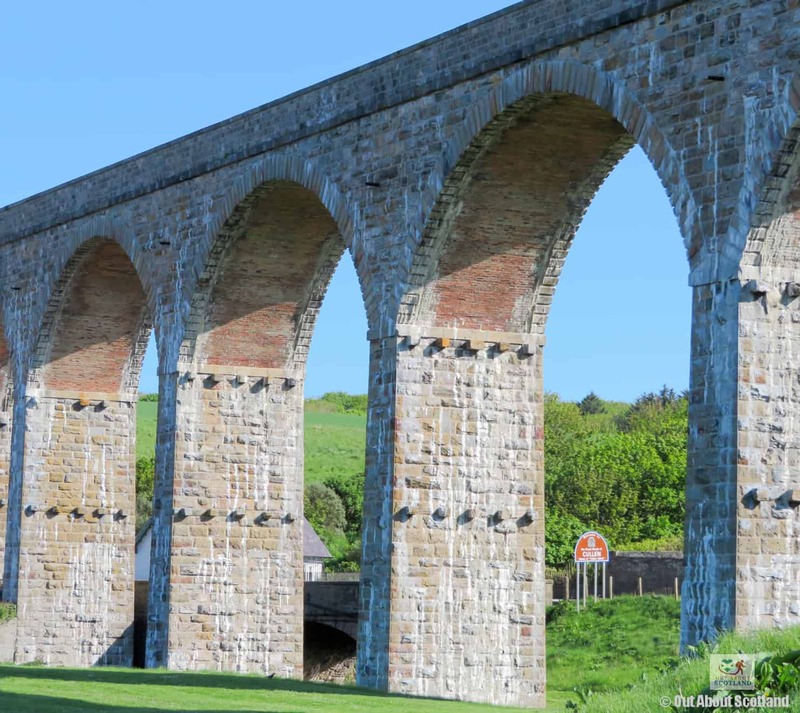 Turn back towards the village and you can’t fail to notice the mighty Victorian viaduct that was completed in 1886 by the Great North of Scotland Railway company. 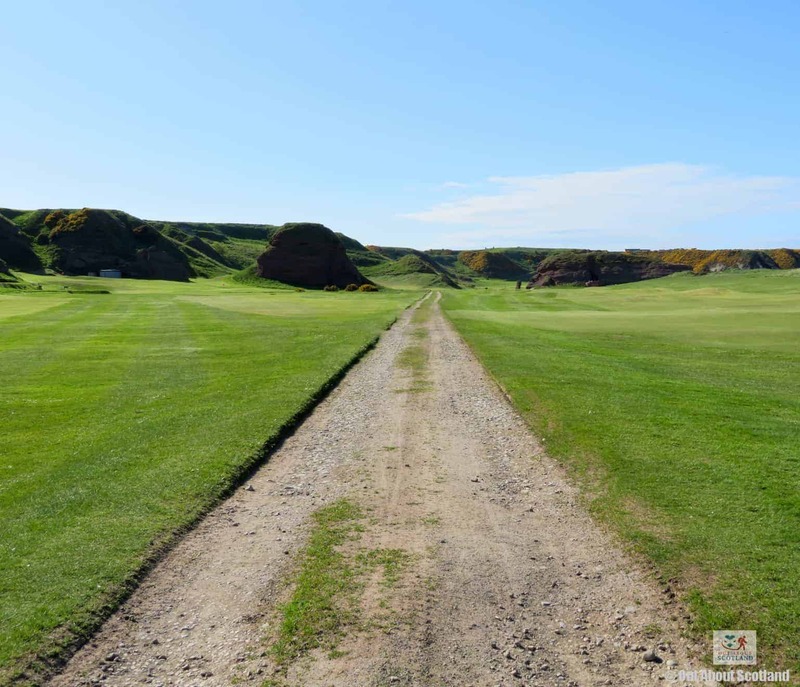 Although the railway line closed in 1968 it’s now incorporated in a coastal footpath to Portknockie, and also forms part of the Sustrans national cycle path and the North Sea Cycle Route. The path across the viaduct offers views over the village that easily rival those on Castle Hill, so if you have the time try to take a walk across it. 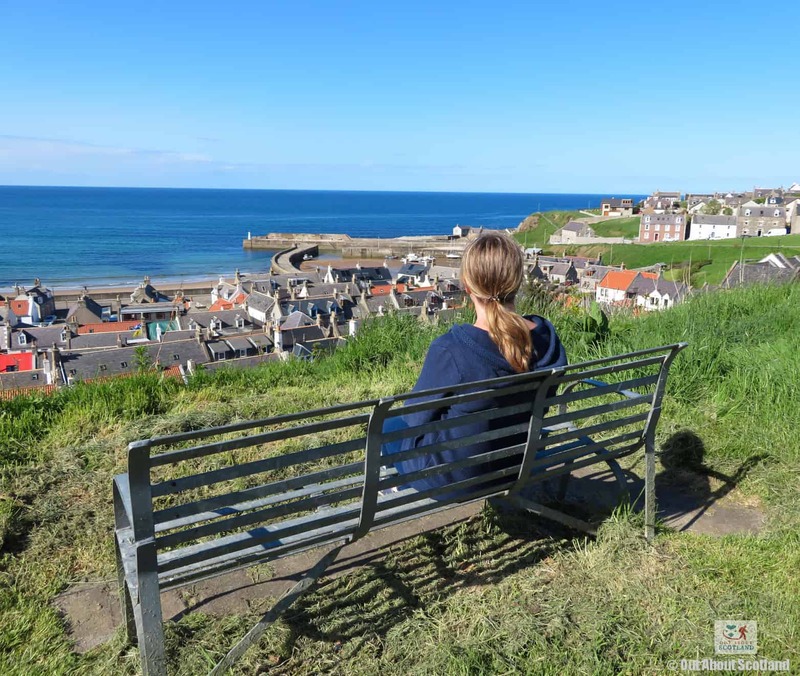 Looking back towards the sea you can view Cullen harbour which was built in the early 19th-century and was designed by Thomas Telford. While the harbour saw a great deal of activity during this time from fishing vessels bringing in barrel after barrel of herring, these days it’s mainly used by pleasure craft and anglers. Fishing has been a part of the Cullen way of life for over 500 years and at one time there were three large curing houses exporting smoked haddock to Europe and beyond, so it’s not surprising that this little village is the birthplace of one of the most mouth-watering delicacies in Scotland, Cullen Skink. This thick and creamy soup is a traditional Scottish meal made with smoked haddock, potatoes, onions and milk, and has become so popular that there is even a Cullen Skink world championships, held in Cullen in November. Google map embedded from the Discover Cullen website. 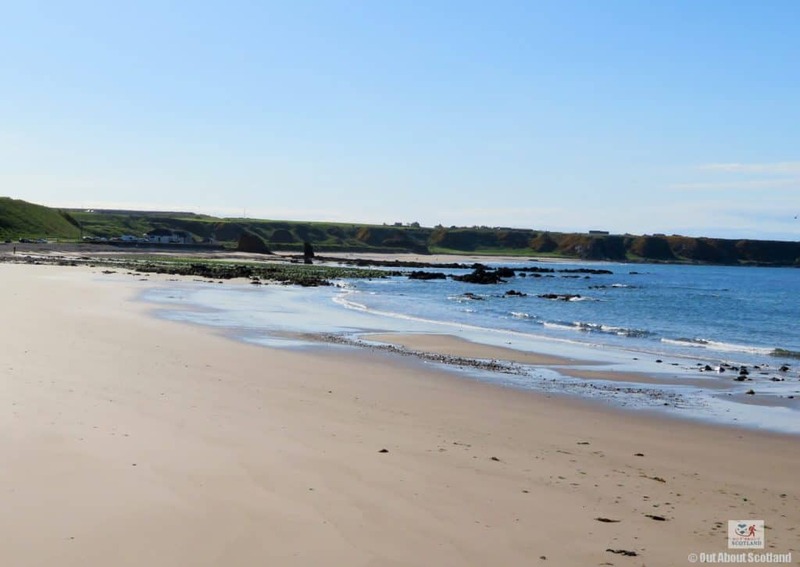 There is no charge to visit Cullen village although car parking charges may apply. The village is open to tourists at all times of the year. 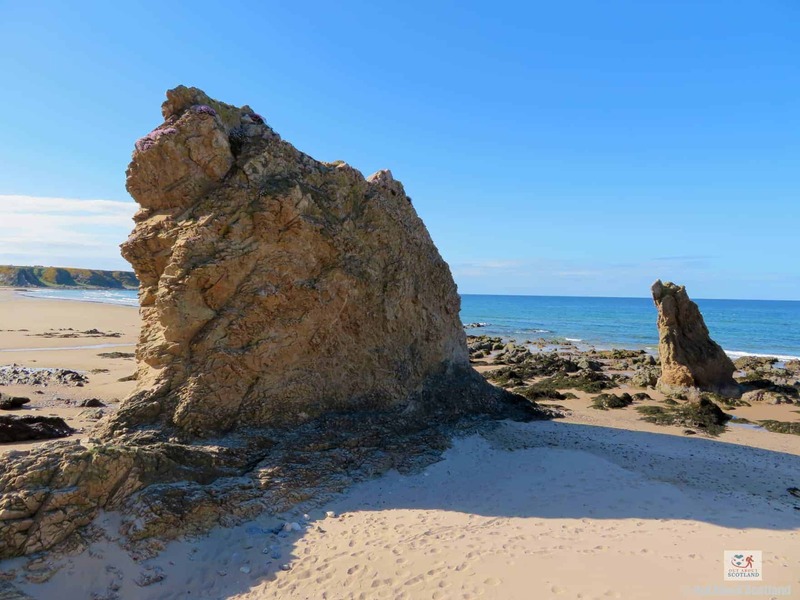 There are three rocky outcrops on Cullen beach known as 'the three kings'. 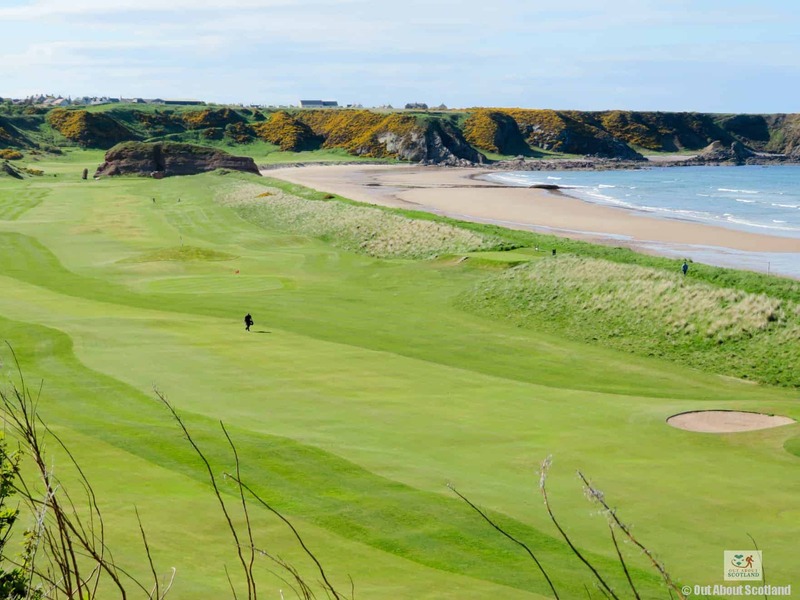 Cullen Links Golf Club lies alongside the beach. This monument on Castle Hill is the perfect place to stop and take in the views across the village and surrounding countryside. The long winding path up the hill was created by the local community. 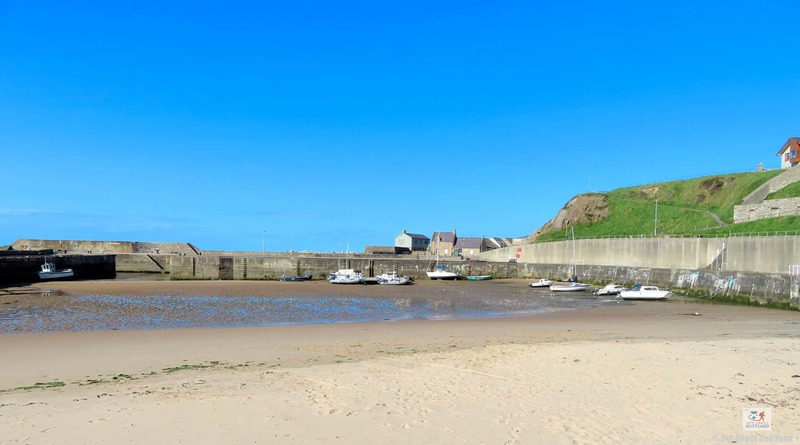 Cullen harbour is worth visiting even when the tide is out. The old Cullen railway viaduct is part of the coastal footpath route to Portknockie. 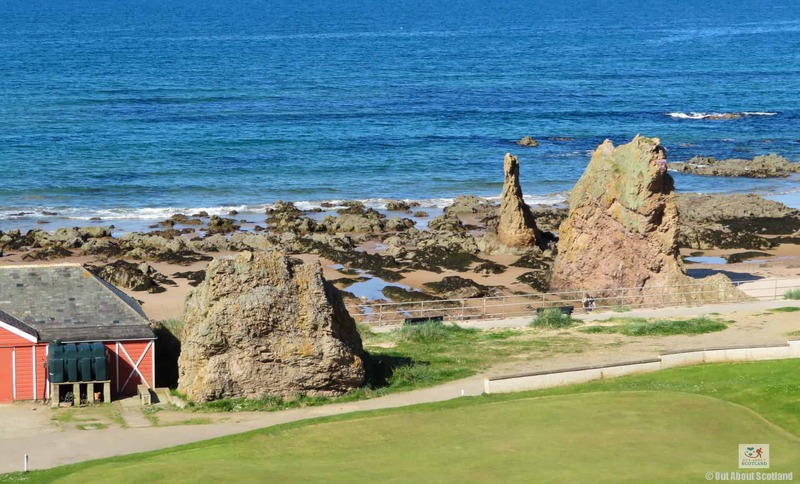 It's a lovely walk from Cullen harbour alongside the beach and golf course .